Providing northern European professional service levels in Southern Spain. We are a multi service professional service firm based in Sotogrande providing full Spanish legal, tax and accountancy services. Foresight Consultancy helps in providing seminars on local tax cross border and international tax issues. Please see our articles & publications (including our acclaimed Spanish tax and legal guide). Foresight Consultancy is able to offer property management, concierge & relocation services. Foresight Consultancy is a professional service firm providing professional help to both corporates and individuals alike. 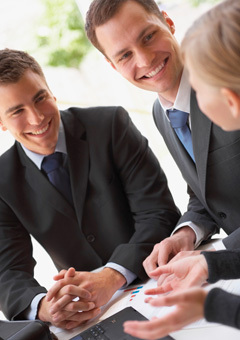 We specialise in helping individuals and businesses with interests in Spain, Gibraltar and the UK. As it is impossible in todays world not to take into consideration the tax implications of any financial transaction we have placed tax advisory services are at the heart of our business. Through our internal expertise and associates we are also in a position to offer a number of professional services including tax, accounting and legal services. We offer efficient, honest professional services together with years of experience and notable expertise which all ensure that you are in good hands. It is our aim to help make your life easier by providing professional solutions in a timely manner tailored to your needs. "I contracted Rocio to help me with a number of important legal issues. She went out of her way to help address all my needs and was there every step of the way. A very professional and highly recommended lawyer." "He is massively experienced in the myriad tax concerns and issues confronting High Net Worth Individuals living in or planning to relocate to Gibraltar or Spain". "Francesco is a reliable, focused and accurate tax advisor who I have no hesitation in recommending". Disclaimer: The contents of this website is for general information only and does not constitute legal or other professional advice.We always recommend that you seek such advice before any action or inaction. Every care has been taken to ensure that the information given is accurate, however we cannot accept responsibility for any consequences whatsoever arising out of reliance upon the information contained on this website.